Highlights: Lake views, waterfall, and beautiful creeks. 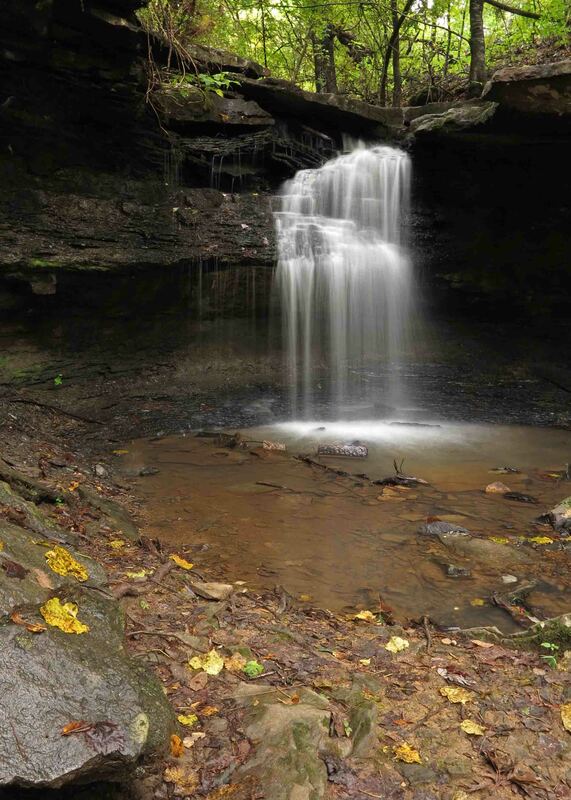 Comments: The 1.6-mile out-and-back to McWater Falls is an easier option for those wanting a shorter hike. If you’re a parent looking for an easy day hike to introduce your children to the gentle pleasures of nature or a trail runner looking for a heart-throbbing but pleasant path, this out-and-back hike is for you! 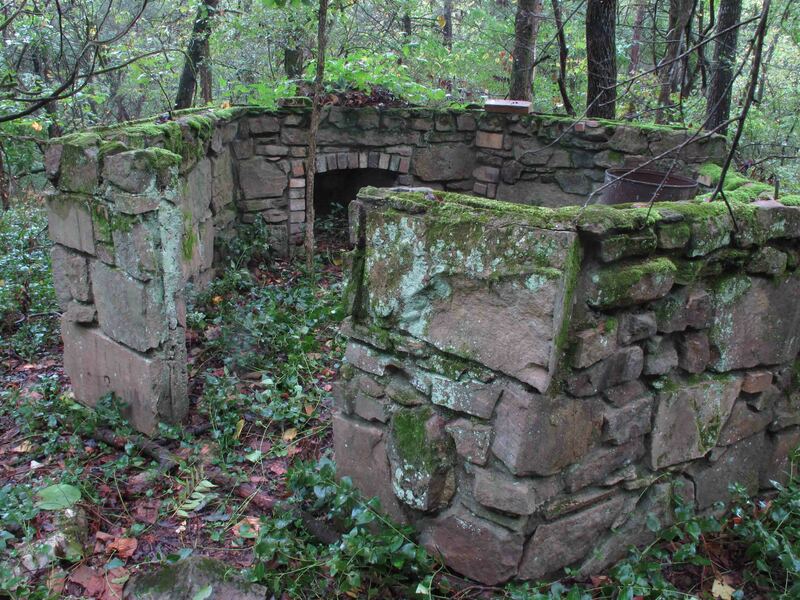 Chuck Dovish, of Exploring Arkansas with AETN, said, “It’s amazing that so much variety and diversity of scenery is found right inside the town of Alma.” You’ll see bluff lines and moss-covered boulder fields up close. You’ll walk beside clear streams, rocky cascades and a 12-foot waterfall. Situated within a diverse mixed hardwood forest, you may spot deer, rabbit, fox, great blue heron, and a variety of songbirds and wildflowers. We’ll be accessing the Lake Alma Trial by the paved walking path that connects to the parking area. As you begin walking you’ll see another paved path down below and closer to the lake on your left. Note: There are mile markers on this trail, but they are approximate and based on distances calculated from the kiosk. Our mileage will be calculated beginning and ending at the parking area, making the mile markers on the trail shorter than our actual distance. 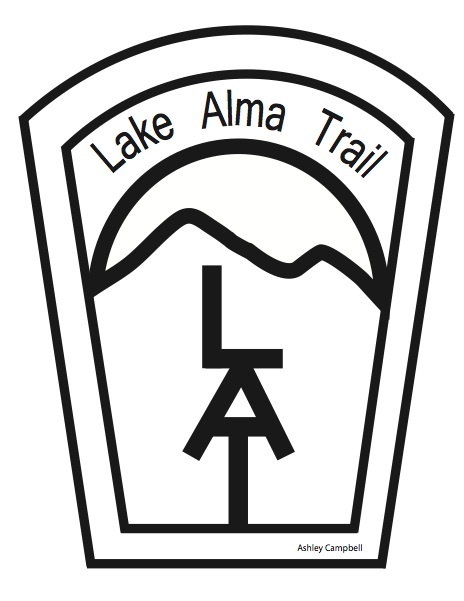 At mile 0.2, you’ll arrive at the Lake Alma Trail kiosk. Stop and have a look at the map and check for updates on trail conditions. This is where the pavement ends, and the work of volunteers begins. The kiosk was built and installed by volunteers. The trail logo was created by a young community volunteer. The tread on which you walk was cut out, and continues to be maintained, by volunteers. The first section of the trail is easy walking. At mile 0.5, the trail turns to the right and goes up to cross a small drainage. More easy walking until you arrive at the first bridge. The trail follows around the base of a hillside and then crosses a second bridge. If water is flowing under this bridge, the waterfall is flowing and definitely worth seeing. Take a right on the McWater Falls spur trail, arriving at the falls at mile 0.8. This is a nice out-and-back for children and novice hikers and provides a 1.6-mile hike. If you have young children, consider this option and take your time returning to the trailhead. 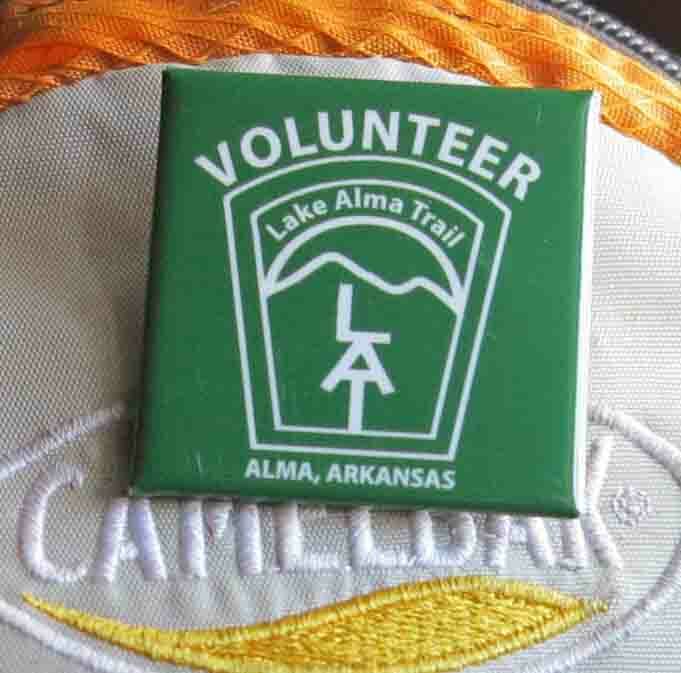 With that, Harry sought expertise and labor from the Arkansas Master Naturalists, Ozark Highlands Trail Association, Fort Smith Trailblazers, and local volunteers, including student organizations and scout troops. The trail began to see regular use in the spring of 2012 and its popularity has continued to grow. Now, back on the trail. 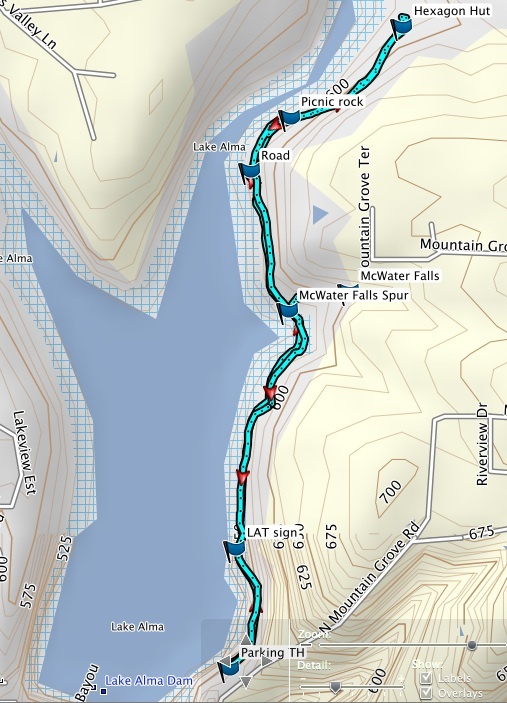 After enjoying McWater Falls, backtrack one-tenth of a mile to the main trail and turn right. You’ll get glimpses of the lake in the distance on your left. At mile 1.0, you’ll turn right onto an old roadbed. Watch to your right for some nice bluff areas and rock formations as you walk this section. At 1.3-miles, you’ll pass moss and lichen covered boulders that appear to have tumbled down the hillside on your right. Just past the 1-mile marker you’ll come to the Hexagon Hut. This homesite is a great place to explore. Please leave any historical artifacts in place. Mystery surrounds the construction of these structures and their occupants. At this point, you’ve actually hiked 1.4 miles from the parking lot and including the waterfall spur. This is where we’ll turn around and return to the trailhead for a 2.6-mile hike. Sometimes the best part of a hike is the backtracking portion. You’ll often notice views missed on the first trip through. Note: The Lake Alma Trail does loop all the way around the lake, returning to the trailhead by way of the dam, but this is a 4.5-mile strenuous hike. There are some very rocky and difficult sections beyond the Little Frog Bayou crossing. Only experienced hikers with water and sturdy shoes should consider doing the whole loop trail around Lake Alma. Take Exit 13 off of I-40 and drive north to the first traffic light. Turn right (east) onto Collum Lane East. Drive 0.2 mile and then left (north) on Mountain Grove Road. Drive north on Mt. Grove Road for 0.3 mile and take a left just past the two green water tanks. Drive down to the picnic area parking. The Lake Alma Trailhead is at the opening in the parking guardrail. This entry was tagged Alma Arkansas, Arkansas waterfall, day hike, Lake Alma Trail, ozarkmountainhiker.com. Bookmark the permalink.